Somebody is stealing ostrich eggs from the farm. It is a disaster for Gloria Goop and her custard factory, and a catastrophe for Norman Brilliant and his latest noise. Flash Harriet and her trusty pet tarantula, Gus, are called to help solve the mystery. Collins Big Cat is a guided reading series for ages 4—9 edited by Cliff Moon. 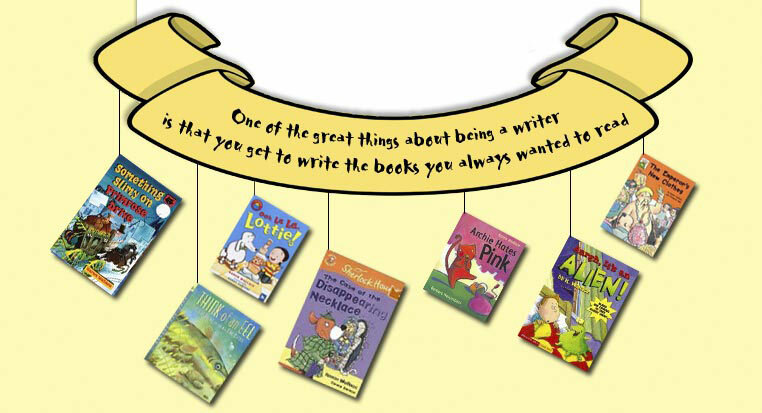 Top children’s authors and illustrators have created fiction and non-fiction books that your children will love to read, banded to help you choose the right book for every child. Practical teaching notes are included at the back of each book. Flash Harriet , the famous girl detective, is on the trail of a crime…and it has led her to the shores of Loch Ness. Find out what happens in this comic detective story. This title includes stories of no more than 50 words, focusing on CVC words with short vowel sounds. This title includes stories of no more than 100 words, focusing on phonemes of more than one letter plus simple polysyllabic words. Violet and her sidekick, Garth, are staying in a Parisian hotel with her parents when valuable jewels are stolen from guests. Never one to pass up an adventure, Violet is soon hot on the trail of the suspected diamond takers…!